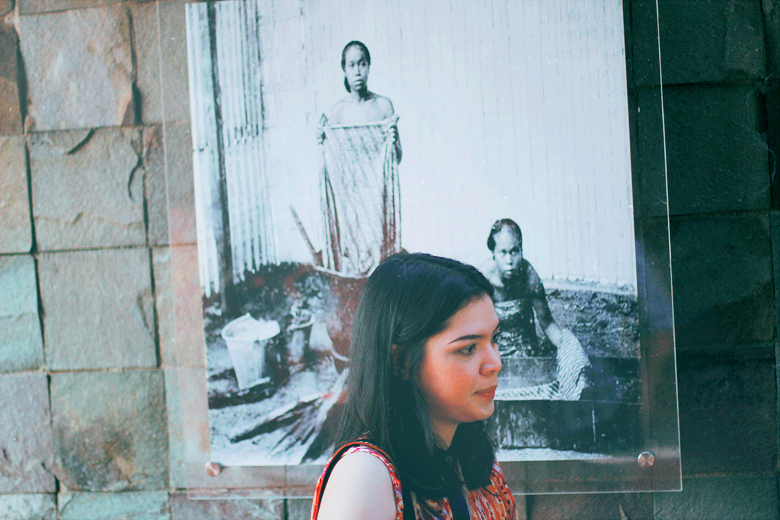 Last week was one of the most exciting moments in my life, to learn about Batik & Indonesia's culture, my beloved country! 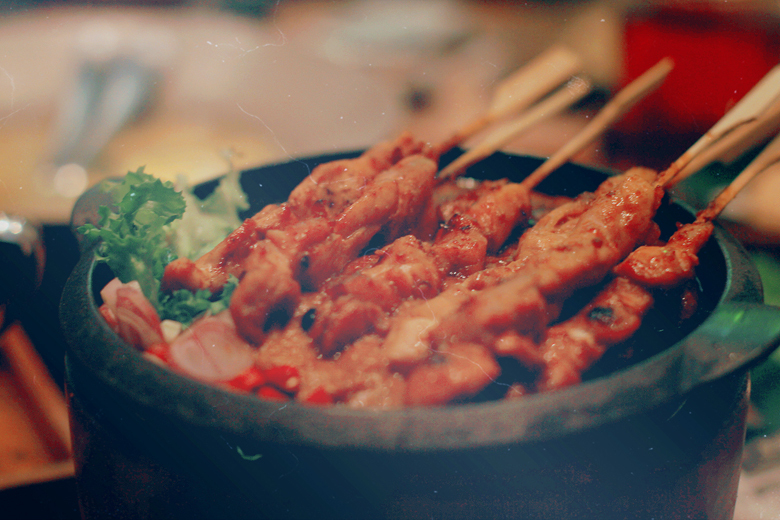 Curiosity always tickles my heart & brain whenever I saw this traditional art and heritage of Indonesia. That encouraged me to visit Lasem, Central Java, 4 years ago. My dad said Lasem is one of the central of traditional Javanese Batik, specifically known for the bright colors & flowery or motives. I was totally clueless about any places there, though my eagerness lead me to ask one of the pedicab drivers if there's any Batik workshops around. 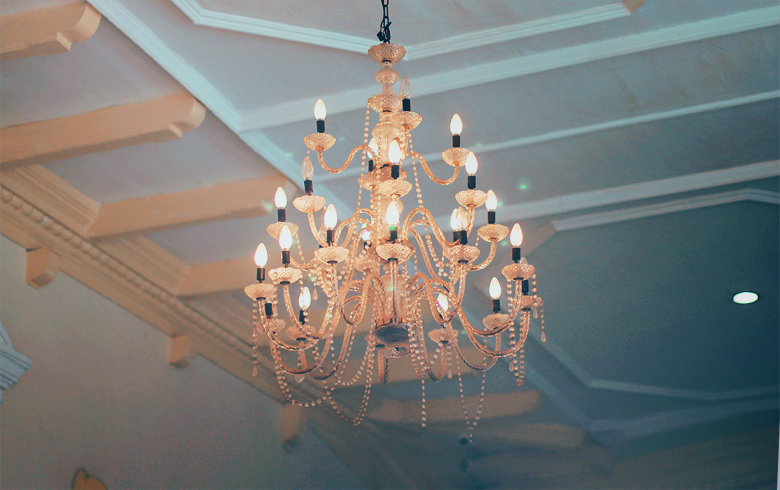 The pedicab driver took me to a beautiful old Chinese-Javanese influenced house. 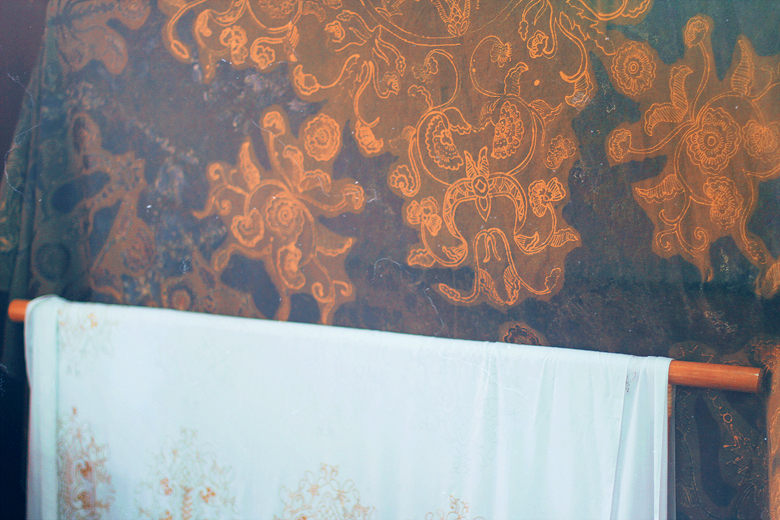 Definitely my most random experience as a kid to knock on stranger's house to find out about Batik, but a super-friendly man opened the door with a very warm greeting. He's Mr. Sigit Witjaksono. 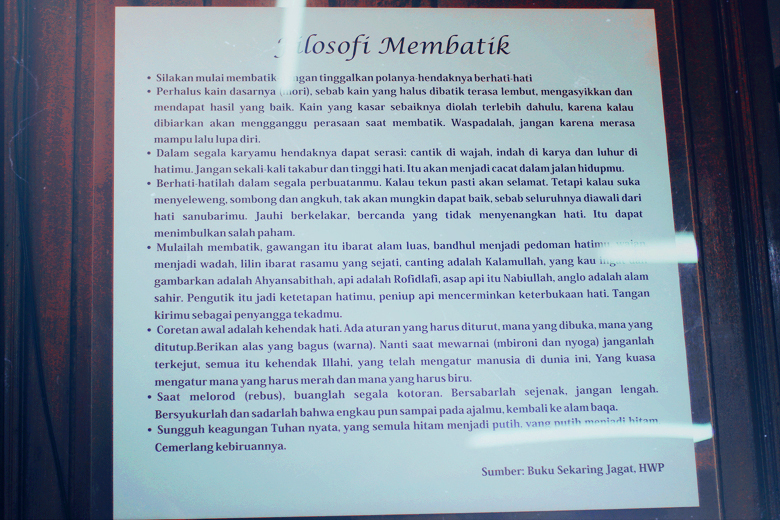 Listening to an awesome story of him, the history of Lasem and Batik from a seventy-something years old man, it amazed me to know someone who is so passionate about Batik & willing to share it even with strangers like us. Unfortunately the Batik workshop was still closed, but then I met his wife and she gave me a block of wax, white linen fabric and canting, a specific tools to make Batik. 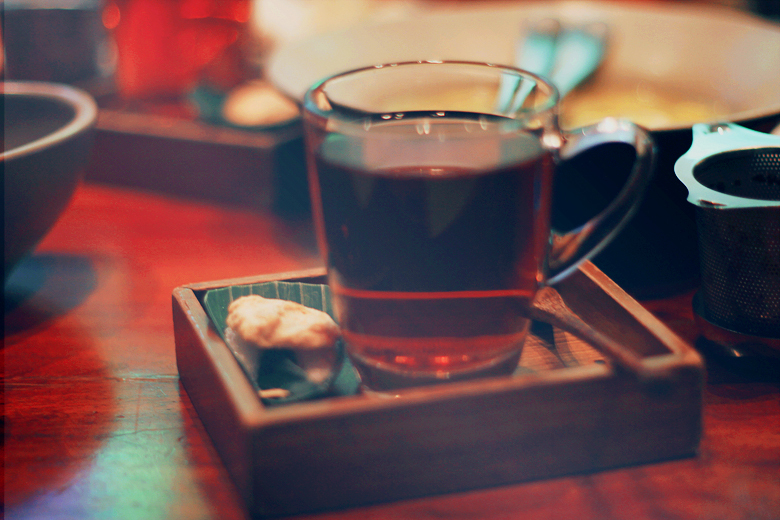 I would never forget the valuable time I spent with the loveliest couple and of course, the loveliest welcome. The smiles on elementary school boys, they enjoyed making Batik a lot! 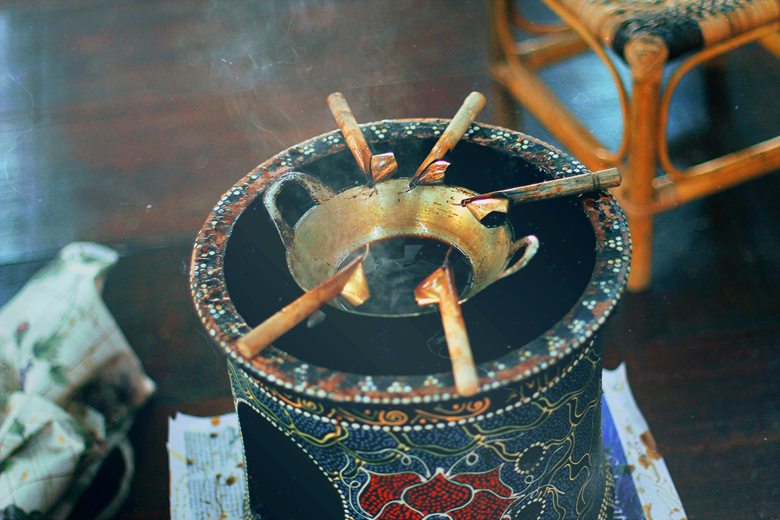 As an Indonesian, though it's familiar to me but I haven't tried to try Batik. 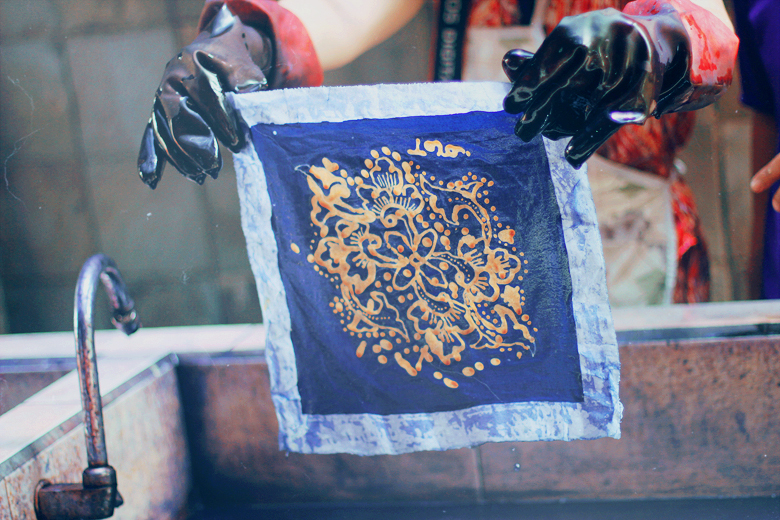 Batik is a complex techniques of drawing & dyeing on fabric, and not just a simple printing. 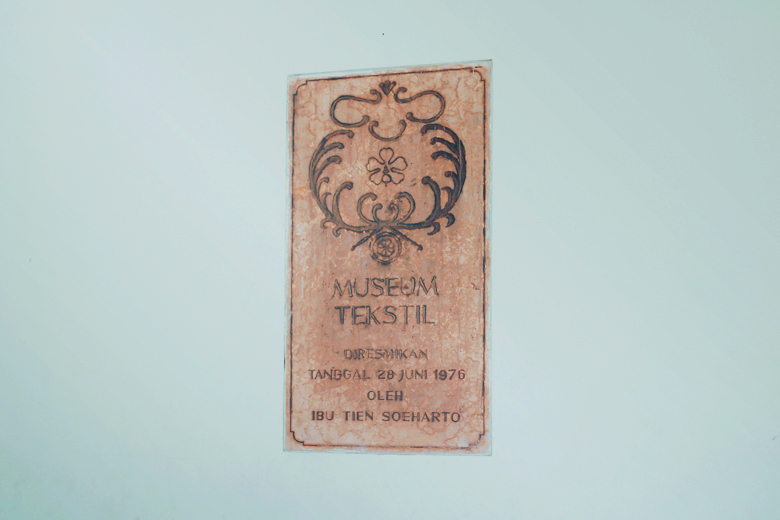 The word Batik comes from Javanese words for 'writing' and 'dots', which are the drawing techniques with canting & melting wax. More like a reversed coloring technique, I guess. The first step is drawing a pattern on the fabric with pencil. 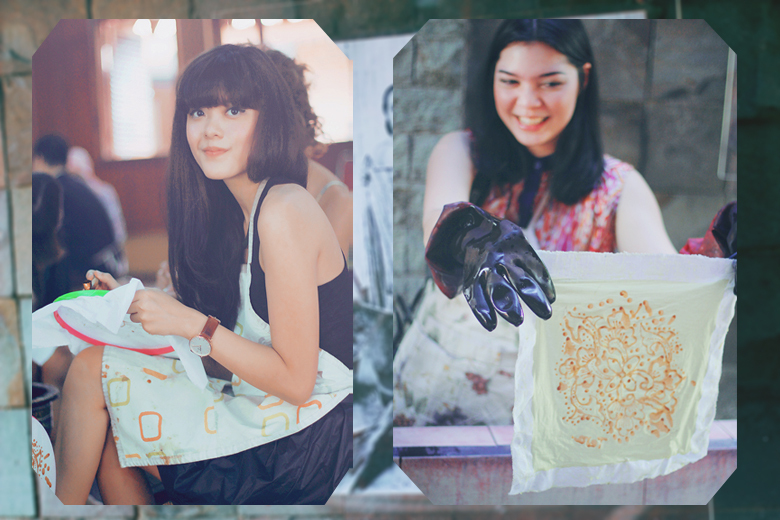 Using canting and melting wax, we trace the pattern to prevent it from dyeing process when we dip it to colors. The wax part on fabric will still remain white. 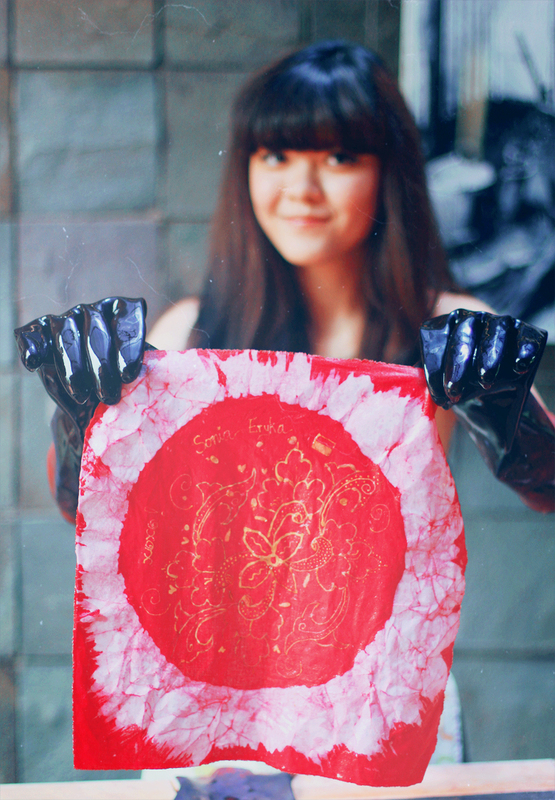 That's how to make one-color Batik. 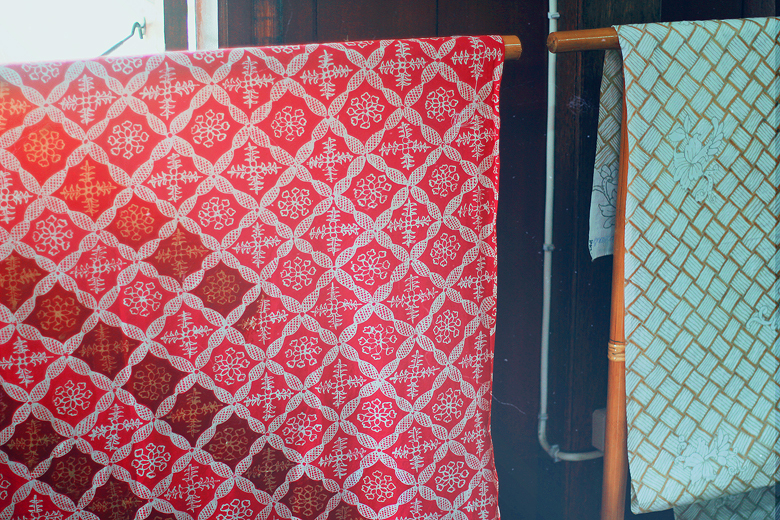 For two-color Batik or more, you need to dry the fabric and cover the all the part with the melting wax, except the part you want to dye. More colors means you need to repeat the methods, takes a lot of efforts & time to make it. If you miss just a dot of the wax area, you might ruin the whole fabric. That is why handmade Batik worth the price because it's made by traditional Batik artisans, each pieces are unique, and totally different than just a modern fabric-printing with Batik motives. Christina Topacio & Christina Caradona, two fabulous fashion bloggers from NYC! The dyeing process, for the first color. I can't imagine doing this for 20 times for 20 different colors in one Batik fabric. Precious. Perfume Collections We have all collections of perfumes with latest brands and cheap price.